Love snowboarding or skiing, well here in Niseko Japan is some of the BEST snow you will ever get! Ok you may think that statement is a little audacious but if you have ever visited Niseko for snowboarding or skiing you will know it’s a fair call. 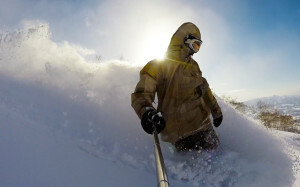 I was even fortunate enough to ride with a pro skier here, J.T Robinson and now good friend. He has been all over the globe for snow, but is still astounded and in love with Niseko, so instead of going anywhere else in the world for snow he comes back here every season. Which confirms that it‘s pretty damn amazing here. 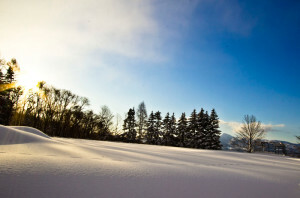 For me I had wanted to come to Niseko Japan to do a snow season for over 3 years now. Initially the only thing holding me back was my decisions to spend various seasons boarding with mates on different hills in other countries, which I did and had the time of my life doing, although Japan was always super high on the bucket list. I knew jack all about coming to Japan and was quite worried about the language barrier and how I would cope. Let me tell you, a lot of people here speak English and you have nothing to worry about. So, from boring Manila, I hopped on a plane to Chitose, Sapporo. Once I arrived I found the cheapest way to the hill was via either the White Liner Bus (which I used) or the Hokkaido Resort Liner. Both these busses take you to wherever it is you need to go in Niseko. Make sure you book it online in advance though. For me, as I was staying about 3 months I hunted down a place that was not only very affordable but offered everything you need. I am staying at the YHA Fujiyama Karimpani Hostel and I am seriously stoked to be here. You have the choice of having breakfast and dinner here and the owner Max who is next to being one of the nicest guys ever, is also an absolute champion too. He offers a free shuttle service to and from the hill every morning and afternoon. He runs a shuttle to different Onsen’s (what’s an Onsen?) each night and the best of all is he provides discount lift tickets to anyone staying at the hostel. Yep discounted lift tickets! Like always, many people can’t understand how I afford all this but honestly it’s cheaper than living at home. For just under 3 months I am paying LESS than $4500 for absolutely everything. That is for accommodation, ALL my food and drinks, transport and my season pass. With the greatest powder in the world, I couldn’t think of a better place to spend just under 3 months, could you? Cheers for writing this dude, this has really helped me. I have been looking for some cheap accommodation for Niseko next season. Looking to spend around 3 months there also, have you got any advice?